Looking for something new and unusual for your next family picnic, company function or group event? would like to visit outside of regular hours of operation. During September and October, we will open the maze mid-day for groups of more than 20 people when you make a reservation. Please use our on-line reservation form to start the process of booking your group. Please call our reservation hotline @ 780-499-5939 or email us with specific questions or concerns. Picnic sites/fire pits are booked on a first come – first reserved basis. We do our best to accommodate all requests but might run out of spots on our busiest days. Sites are usually available for 2 hours. Groups of less than 20 people who plan on coming during regular business hours of operation & do not need a picnic area can just show up and get lost. 15+ people – $2 off admission per person when paid as a group. Day-cares and Out of school groups are welcome to visit the corn maze for a memorable day of fun! 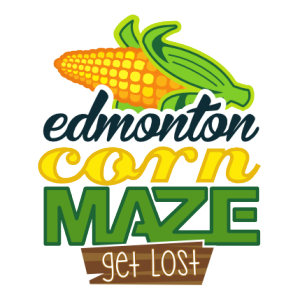 The Edmonton corn maze offers a self-guided adventure through the 15-acre cornfield and plenty of interactive activities for children to experience hands-on learning about agriculture and rural Alberta. Not sure the little ones can do the whole maze? Complete half the maze and have tons of fun with our tiny tots trivia! Daycare and Out of school care bookings include a picnic area with fire pit (bring a bagged lunch, picnic, or cook hotdogs over the fire), access to the maze, farm animals, jumping pillows, bale mountain and pedal carts. Day care and Out of school care trips are available by reservation Tuesday-Friday starting at 10:00 AM. Come out to the maze if you are seeking a source of good “clean” fun, and have a wonderful time around the fire pits afterwards. Please book the fire pits at the time of your reservation. We are a great place to have your start up meetings, so book a time in the maze during the day or at night! Friday nights in late September and throughout October fill up quickly with many youth groups. We do not offer discounts on pricing on Friday night. Please consider visiting on a week night instead to give your group a little more space. We have become a favourite destination for birthday parties as well. Why? There are a lot of reasons, but our favourite theory is that birthday moms welcome the relief of losing the kids in the maze for a while. We do not do anything special for birthday parties except reserve a picnic area; however you are free to do and set-up what ever you would like. Bring the cake and gifts and have a picnic around a fire pit, plan a exciting activity that the kids can do in the maze, and watch and feed the farm animals on site. Please feel free to call us if you have any questions and we will be happy to assist you in the planning in any way that we are able. 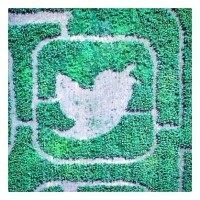 If you are planning a field trip for your class or school group, visit the corn maze for an unforgettable day of fun! 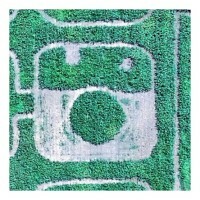 The Edmonton corn maze offers a self-guided adventure through the 15-acre cornfield maze and plenty of interactive activities for students to experience hands-on learning about agriculture and rural Alberta. 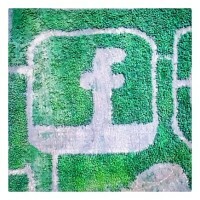 School group bookings include a picnic area with fire pit (bring a bagged lunch, picnic, or cook hotdogs over the fire), access to the maze, farm animals, jumping pillows, bale mountain and pedal carts.